Making a movie is a miracle, especially a feature film. Meet women who have succeeded in directing not only one but multiple feature films, and learn how they made these dreams become a reality. Featuring Sarah Goodman (Porch Stories, Army of One) and Ingrid Veninger (Porcupine Lake, The Animal Project). Moderated by Joyce Wong (Wexford Plaza). Deanne Foley is a Canadian feature film and TV director-writer hailing from St. John’s, Newfoundland. Set in the world of semi-pro wrestling, her debut feature film, BEAT DOWN, starring Robb Wells (Trailer Park Boys) and Marthe Bernard (Republic of Doyle) garnered three Canadian Comedy Award nominations including Best Direction, Best Actor, and Best Actress and won Best Debut at the Toronto Female Eye Film Festival. Her sophomore feature, RELATIVE HAPPINESS, a romantic comedy, was nominated for Best Picture at the 2015 Directors Guild of Canada Awards, and Best Canadian Feature at the Whistler Film Festival. The film also picked up Best Actress awards at the 16th L.A. Comedy Festival and Toronto’s Canadian Film Festival in 2015. The film sold around the world including China, Australia and the UK. Deanne went on to direct two episodes for CBC’s REPUBLIC OF DOYLE in the final season. She has been honored by the Newfoundland and Labrador Arts Council and named Artist of the Year for 2015. In the summer of 2017, Deanne directed the dramatic feature film, AN AUDIENCE OF CHAIRS, based on the critically acclaimed novel by Joan Clark. Up next, Deanne will be directing on the feature film, HOPELESS ROMANTIC, filming in the fall of 2017. Born in Bratislava and raised in Canada, Ingrid is no stranger to SJIWFF. In addition to leading workshops and participating on numerous panels, she has presented her films i am a good person/i am a bad person, The Animal Project and He Hated Pigeons, which was presented last year with an improvised score performed by St. John's very own Rozalind MacPhail. This year she returns with her 6th feature film, Porcupine Lake, which was developed in the pUNK FILMS FEMMES LAB, an initiative Ingrid created in 2014 to foster more feature films written and directed by Canadian women, sponsored by Academy Award winner Melissa Leo. Porcupine Lake had its world premiere at TIFF and will be touring festivals worldwide this fall. Currently, Ingrid is developing her 7th feature and is working on her MFA at York University. 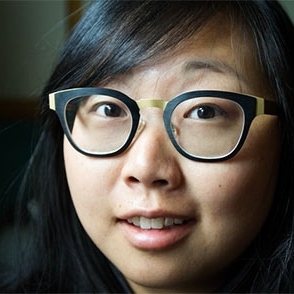 Joyce Wong is a writer and director based in Toronto whose films have played at festivals worldwide. Her films often feature an idiosyncratic tone and tongue-in-cheek comedy. She graduated from York University with a BFA in Film Production in 2007, and is an alumna of the 2008 Berlinale Talent Campus and the 2016 TIFF Talent Lab. Most recently, she completed her first narrative feature Wexford Plaza, which premiered at the Torino Film Festival. It also screened in competition at Slamdance, and was awarded the Comcast Best Narrative Feature Award by the Center for Asian American Media in San Francisco. Her work has been supported by the Ontario Arts Council and the Canada Council for the Arts. Her previous works include: The Power of Love, a short documentary about Celine Dion fans in Kenya that premiered in Hot Docs in 2011, Gentrification Guilt Meter, an interactive installation completed during a residency at Brooklyn’s Uniondocs Centre for Documentary Arts, Embodying Toronto, which won WIFT-T’s Most Innovative Film by a Female Director Award at the Toronto Urban Film Festival in 2009, and SOUVENIRS FROM ASIA, which won Reelworld Film Festival’s Outstanding Canadian Short Award in 2008.